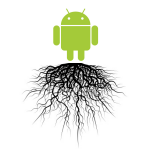 Rooting is the process of getting super user access on your device. When a vendor launches an android smart phone, they customize the stock ROM (Google’s android build ) and install few crappy bloatware which are also called as crapware. Note: The term ROM here is not the hardware component , Read only Memory. In android terminology ROM refers to the image file of android OS comprising of kernel modules, system files and customized apps. Earlier even I had the misconception of this term. 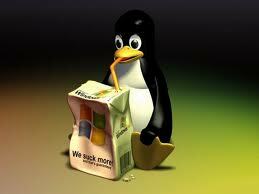 Everyone hates bloatware coz, they cant be uninstalled, though we don’t use it henceforth wastage of resources. In a rooted device these apps can be removed. You can control your cpu clock speed by overclocking it or underclocking it using setcpu app. Overclocking is of course risky, as we are trying to increase more than the threshold given by manufacturers. But it can improve performance while playing 3D games or during multiprogramming. Underclocking cpu will reduce the voltage use so that you can gain more battery juice. You can perform more OS level hacks and tricks for better day to day usage. For e.g everyone gets annoyed with ads in our apps. A smart app called adsfree for rooted devices, can block ads in you apps. The way it achieves this is very simple. As we all know domain name resolution will be done in /etc/hosts file in linux. Making an entry of “ipaddress hostname” in that file will direct all requests with hostname to the ipaddress specified. This app for each ads puts an entry of “127.0.0.1 adsdomain.com” so that all requests are sent to localhost. So no ads will be displayed. But unfortunately only root users can install this app as only root users have write access in system files. Once rooted we can try flashing different custom ROMS(Google android ROMS in different flavors ) using ROM Manager. Selection of ROM is depending upon nature of the users . Few ROMS are developed for good performance, few for long battery life etc..
Few phones which do not have wifi hotspot option can be turned into a portable wifi hotspot which can cater around 10 devices using wifi tether. Regular backups of system and user apps can be done in a schedule manner for recovery purpose by Titanium Backup. There are lot more fun being root user. Root your mobile carefully, coz its not strictly legal as in the process we are trying to execute an linux exploit. If that fails you might even brick your mobile turning it into an expensive paperweight :). Aim of the rooting might be common but not the process of rooting. Rooting process varies depending on your linux version, android build, your device model etc. There are plenty of methods to root includind z4root, Gingerbreak, SuperOneClick etc. But you need to find the right method applicable for your device. Watch closely xda-devlopers-forum and search around other websites to find the right way for your device. After 3 months I am here to blog again :). I was thinking to blog something other than puzzles , and I came up with this idea. Yes its about my experience with my Android. As we all know Android is the open sourced mobile operating system launched by Google. I was too late to know about Android. After spending some time in searching about it, I decided that my next phone is gonna be running on Android. Though I was not aware of the complete architecture and working of an Android phone, I had a feel that this is something awesome. I started exploring mobile vendors who support for Android and found that HTC,Samsung, and LG are the leading vendors. After few weeks I came across LG P500 Optimus One which exactly had what I want in an affordable price. It was around Rs 13K when I bought one year back but I felt it was worth it. It was not a limitation for me as I don’t use camera much. But i was attracted with the RAM (430Mb) and screen resolution (320*480) which no other mid range models had for that price(One year back 🙂 ). HTC Wildfire was running on Eclair(Android 2.1) but P500 was running on Froyo (Android 2.2) and Lg promised for Gingerbread update (Android 2.3.3). So I had a clarity in what I was gonna buy. Frankly the moment I got it in my hand, I had no idea how to use it. It was my first smart phone with touch technology. I had very vague idea about the working of the phone. Then slowly exploring Google market, trying out different apps, I realized the awesomeness of it. I liked the SAAS concept, hosting apps in cloud and accessing it as services. That too more than 3 million apps were free and if we liked we can buy the pro version of the same app. This is an awesome way by which provider and consumer get what they want. Another strength of it is its an open source OS. So any interested developer can contribute to the market by developing his own apps. This is the only reason why android market grows exponentially. All vendors release their mobile in a way the user has only limited access to it. User wont have complete privilege with the system files. The reason is to prevent novice user from bricking the mobile by changing system files. But if you are an advanced user, you can root it and gain the super user access and do awesome things with the phone by making changes to system files wisely. Once you root it, you can install custom roms, customize boot loaders, and install few smart apps so that you can remove ads from free apps, underclock cpu to gain more battery, Overclock cpu to gain more performance while gaming, and lots and lots. If you don’t root your phone, I would say, you don’t have it. But if you are not a techie then don’t risk until you learn what it is all about. I rooted my froyo and loved it, now I upgraded to 2.3.3 and I have root access on it. Loving my phone everytime i use it. Truly, no android user will get bored of his phone, if he has interest in exploring new apps,OS tweaks and trying out new things. Now a days we are spending more money online than from our wallets. And with our bank account access credentials anyone can wipe out our account online. These reasons led fraudsters to find more and more phishing attacks and innocent individuals getting bankrupted. The most common way that we all know is with phishing mails having links to fake sites. But most of us can apparently neglect fake links which made phishing scammers more difficult to steal credentials. But there are some creative programmers who made it possible to hack credentials without even user clicking links. Its known as tab napping. Tab napping is a brilliant way of stealing credentials from users. When u are accessing mutiple tabs in ur browser, attacker can reload any inactive tab with his fake page looking as exactly as our bank account login page. wen we switch across tabs we dnt really care abt the url. So if when we find bank login page again though we logged in long bak, obviously we ll think that session has expired and we ll relogin again. Indirectly inputting our credentials to the attacker which is more equivalent to giving all our cash to him. Dont use multiple tabs when accessing bank accounts. Do cross check the url before typing ur credentials. Perceptions can be deceptive. What u see might not be wat u actually want to see.. 🙂 Beware! We all would have heard about forkbomb, a simple program which if executed, consumes your system resources until ur system crashes. Shell script implementing fork bomb can be written in 11 characters. Where ! denotes the function name and !|! calls itself and pipes the output to the another call of ! itself. & makes the child to run back and it can never die and keep replicating until ur system crashes with the lack of resources.
! will inturn call the function ! aka fork(). Any users of ur system can run this command and make it crash. But still we have a way to secure our system from our users and groups. Thats by, restricting no of process an user can run at an instant. where nproc represents no of processes. Similarly we can limit no of logins and no of opened files for an user and so on..
We have seen how to change Admin’s password in few mins without any tracks, in my recent post. Now lets see how we can get Admin access in the system without changing his password. The only prerequisite is, the user should have access to the scheduler from cmd. Check this by typing “at” Command in cmd. If it responds “Access denied” we cant go further. Any other response is a green signal. Follow the following few steps. Step 4: Now wat u r seeing is the desktop of “System” user who is equivalent to “root” user in unix. This post helps you to change your Admin password in Windows. By the way this post is only for ethical individuals ;). All you have to do is open Command prompt and type the following commands. Wat u have done is, took backup of two files and renamed ur cmd as logon.scr. So whenevr ur OS try to load screensaver, it ll give you an unprotected cmd prompt. Dude wat are you waitng for? you got a prompt with admin privileges, change admin password. where username is the admin username and the password is of your choice ;). Now login as admin and perform your tasks. Copy back two files into system32 to cover ur tracks.